Welcoming your first child into the world is a wonderful event. And although we all wish for a long and happy life, having a child can make us aware of how fragile that life is – and how awful it would be if anything happened to keep you from being there for your baby. As with any major change to your circumstances, it’s a good time to review your Will or Estate Plan and ensure that what you have previously planned still reflects your wishes. 1. What are your current relationship circumstances? Married: while many parents assume that, should they die, their children will inherit everything, that’s not automatically the case. Without a Will, the first £250,000 worth of your estate will go to your spouse. If your estate is worth less than this, your children get nothing. If it is worth considerably more, then the splitting of the estate over £250k could land your family with a hefty Inheritance Tax bill that could have been avoided. Living Together: if you are living together, but not married, then – should one of you die intestate – your children are first in line to inherit. Property in joint names is the exception – this will pass to the person who is named on the title deeds. But having your assets placed in trust for children under the age of 18 could cause all sorts of problems for the surviving spouse, particularly if trustees have not been planned for and appointed in advance. And don’t be sucked in by the myth of Common Law Marriage! There is no such legal entity in the UK. Single Parent: are you the main caregiver? Does your co-parent have children from previous relationships, or a new spouse who may take priority over your child should they die intestate? You also need to keep in mind that, should you marry in the future, your marriage will automatically place your spouse ahead of your children for inheritance, should you die intestate or fail to update your Will post-wedding. A well-planned Will or Estate Plan can avoid this, but will need to be updated if you do marry. In all cases: if you die intestate, it will be harder and more expensive for your heirs to get Probate and they will likely have to wait longer for their inheritance, and possibly pay more inheritance tax. Read more about this in our article on 5 Intestacy Nightmares You Can Avoid. 2. Who will look after your children? If you are a single parent, or in the case that you and your partner should both die, it is imperative that you have a plan in place for who will look after your children. You might assume that those closest to you will pick up the reins. But can you leave such an important possibility in the hands of ‘assumption’? Are you sure you won’t leave behind a family argument as various factions assume that they should take responsibility? Will your children be placed in foster care while their custody is resolved? Ensure that you speak to anybody you wish to name in your Will as guardians to your children, and then put the paperwork in place. 3. What if my spouse remarries after I die? 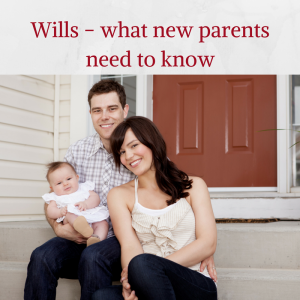 If your partner should find themselves widowed – at any point in the future – they may remarry – not realising that in doing so they have effectively cut their children out of their inheritance as the law now favours their new spouse. Any new marriage invalidates a previously existing Will. Your spouse may not realise they are disinheriting their own children in getting married again. They may even make Mirror Wills with their new spouse, agreeing to leave everything to each other, then to their children if they both die – not realising that unless they both die at the same time, their surviving spouse will be free to make a new Estate Plan and leave the entire estate where they wish – cutting your children out completely. Eventualities like these can be avoided with a Trust Plan, in place of a simple Will. So talk to one of our qualified experts today about how you can best protect your future and the future of your family. If you’d like to book a free consultation with one of our legal experts, book online or call 01342 477 102 and quote ‘New Parents Article‘.